This 30 Minute meal is so flavorful! Comfort food at its best! I’ve watched the Rachael Ray show a couple hundred times and always say to myself, that recipe looks so great and easy, especially the 30 minute meals. I mean come on! She walks you through each step, holding your hand, it’s gotta be easy. Right? Right! I was so inspired by www.tasteandtellblog.com. Deborah has been writing a post, ” Saturday’s with Rachael Ray”. It has been a huge success! Her blog recipes were just in the most recent Rachael Ray Magazine. How great is that! So choosing a recipe for this blog was somewhat nerve wracking, I wanted to choose something really yummy that my family would love and something that would be simple enough that If I really liked it I would make it again. That’s the trick for me. Delicious and Easy, make it over and over. 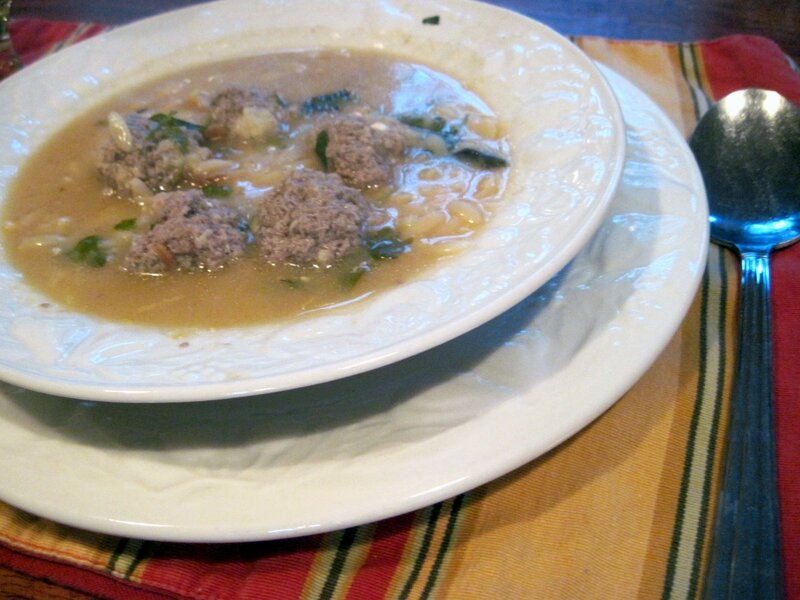 Greek Wedding Soup- I also really like making meals using ingredients that I already have at home. I checked the ingredients for Greek Wedding Soup- I had everything except- ground beef-and since almost every time my husband goes Food Shopping- I kid you not, he picks up Feta Cheese, he has been doing this for years and years, that’s a lot of feta cheese. But wait!! How could it be??? NO FETA CHEESE in the refrigerator—-wait it must be, look, on the top, look on the side, look on the bottom. I really can’t believe it, it’s a living miracle that we don’t have Feta Cheese. Okay- we do now!!! 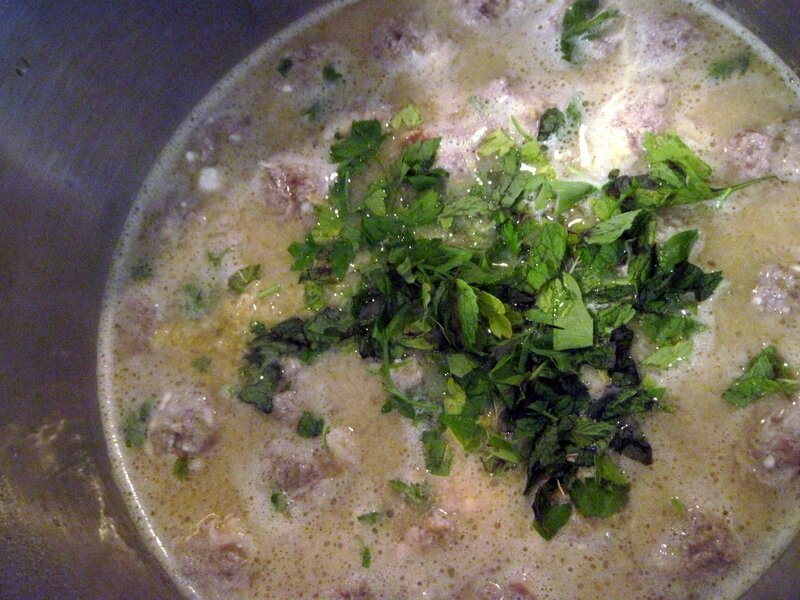 To make this delicious hearty soup you will need: Chicken Broth, Lamb or Beef, Parsley, Breadcrumbs, Feta Cheese, Egg, Garlic, Oregano, Orzo Pasta, Lemon, Mint. 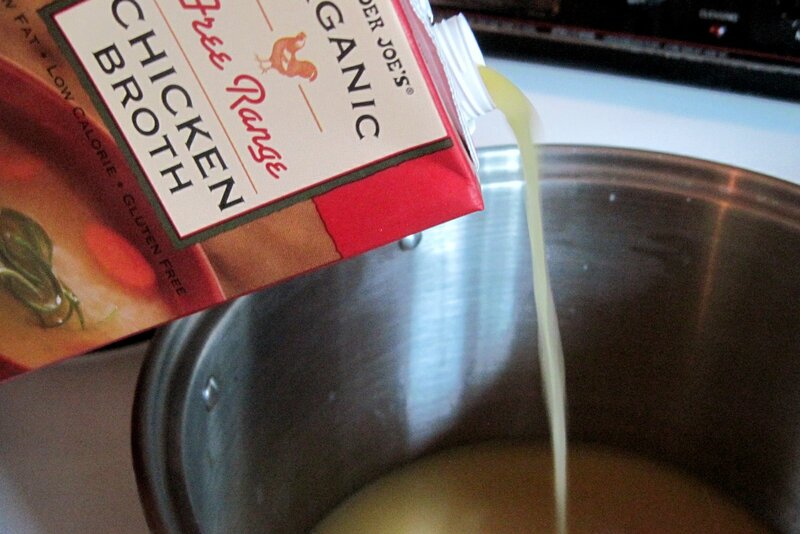 Pour two containers of Chicken Broth into a Soup Pot. Bring to a boil. 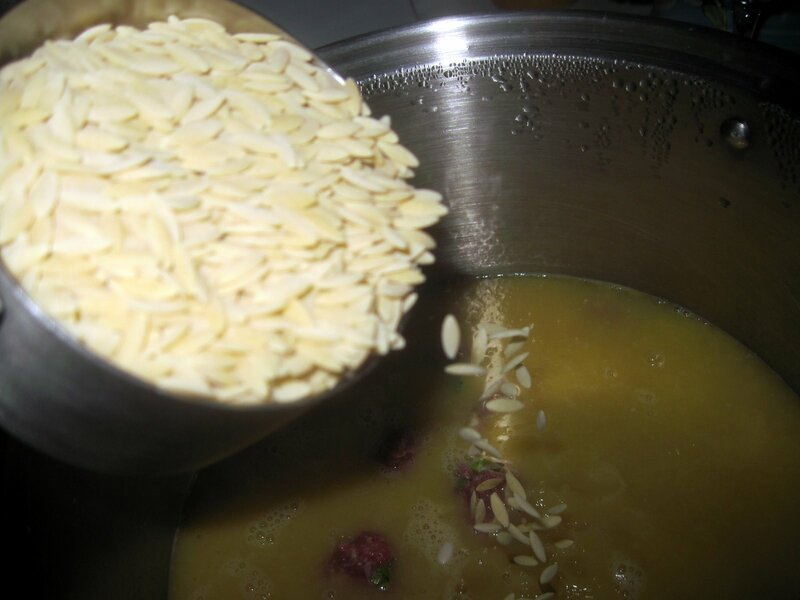 Lower the heat and bring to a simmer. 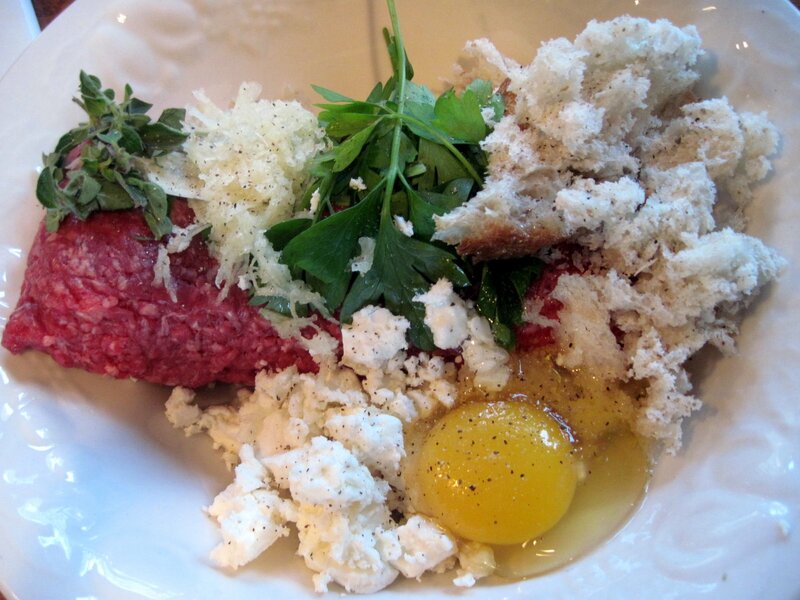 In a bowl combine Beef, half of the parsley, breadcrumbs, feta cheese, egg, garlic and oregano. 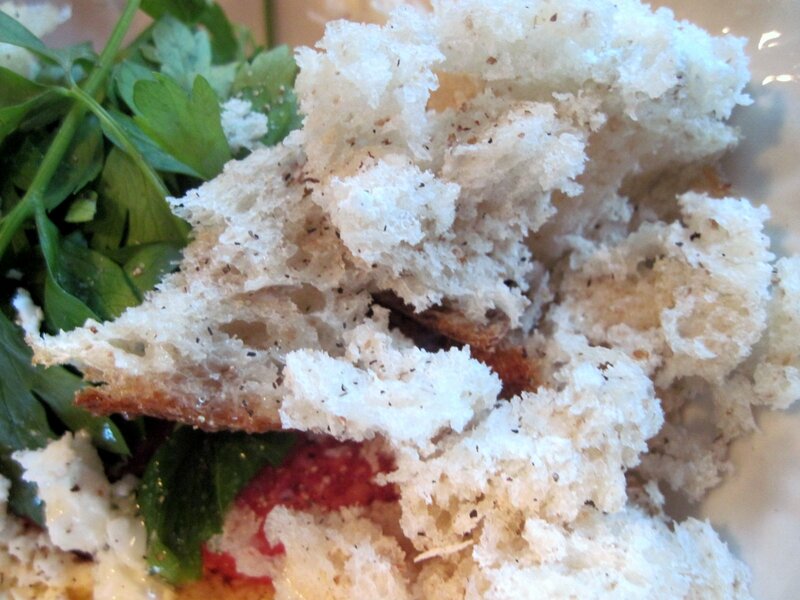 For bread crumbs, I tore up small pieces of Rustic Panne Loaf that was a couple days old. Use a grater for the garlic. Tear or chop the leaves of the flat parsley. Add pepper. 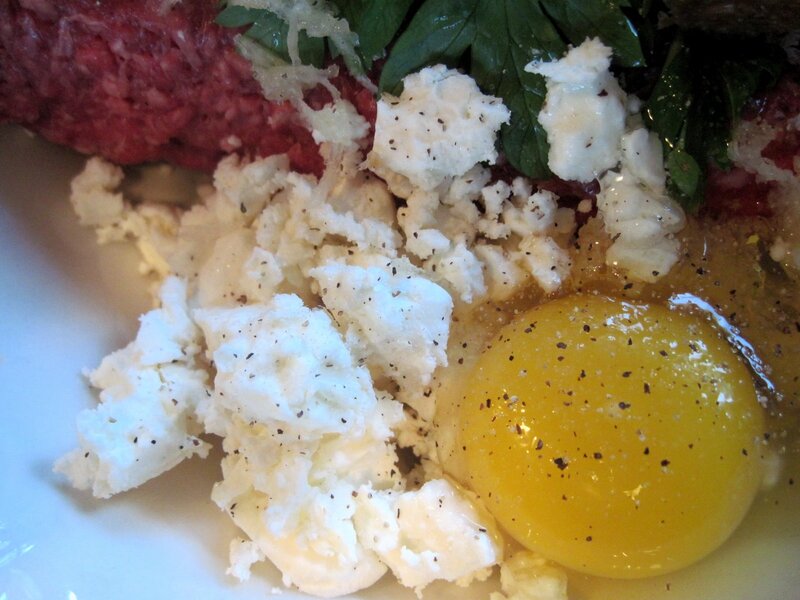 Feta Cheese can be salty, so add salt to your liking. The smell of the garlic makes you know this dish will be perfect. 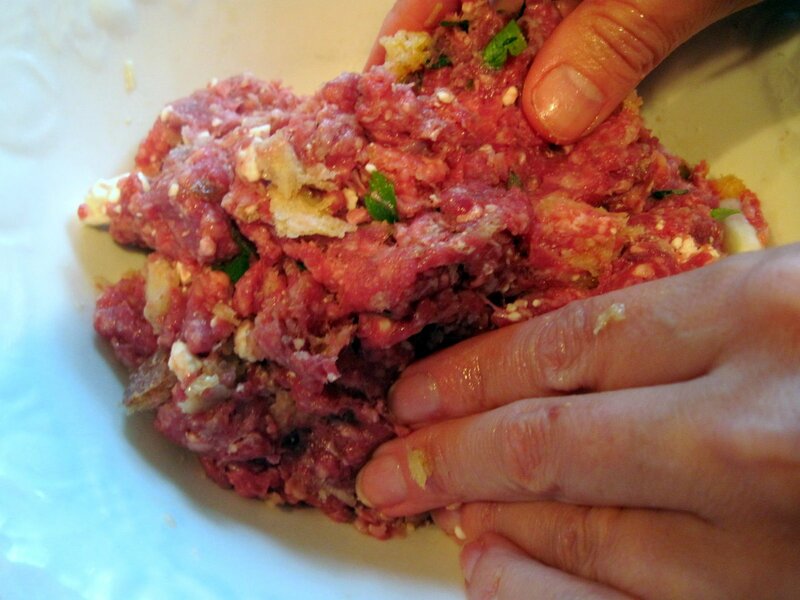 Take off your jewelry and mix up the meat mixture with your hands, don’t be scared, a spoon just doesn’t work as well as your gorgeous hands, that’s the way Mama did it! 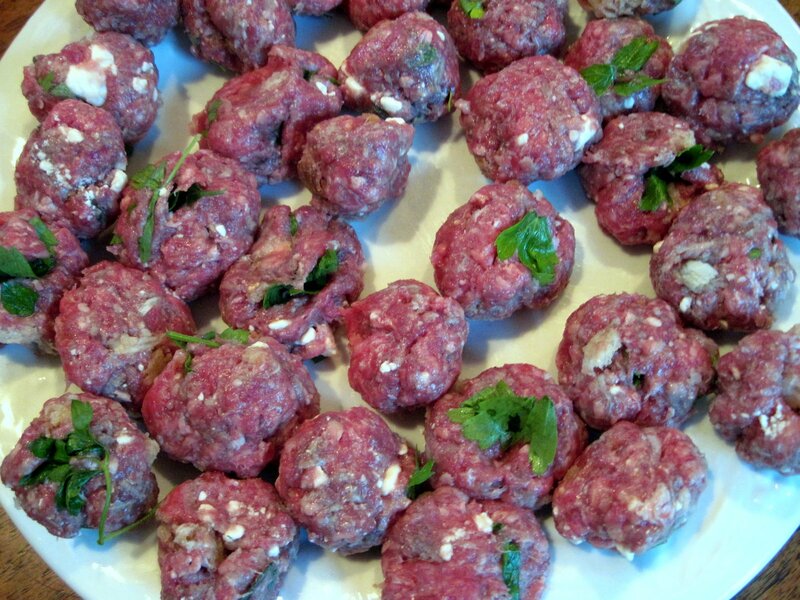 Roll up meat mixture into 1 inch balls. 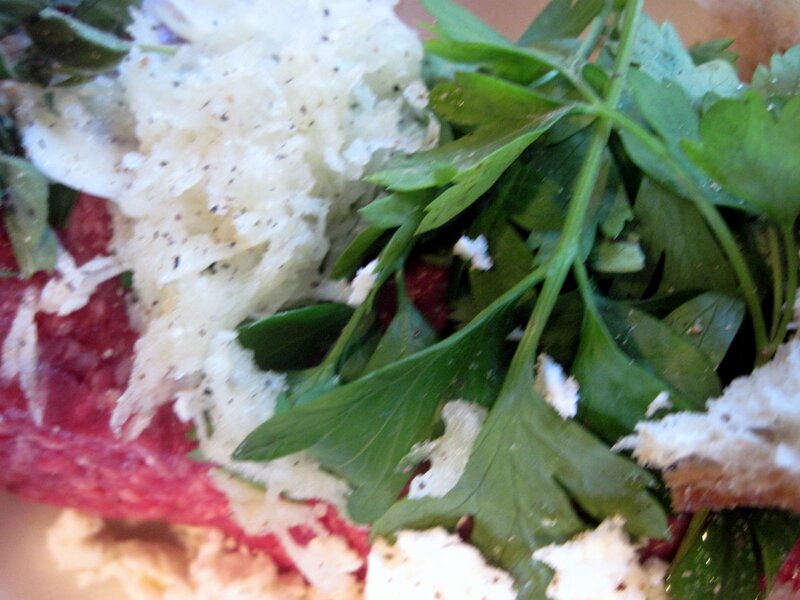 See the pretty parsley and garlic sticking out, push it back in the meatballs if you like! 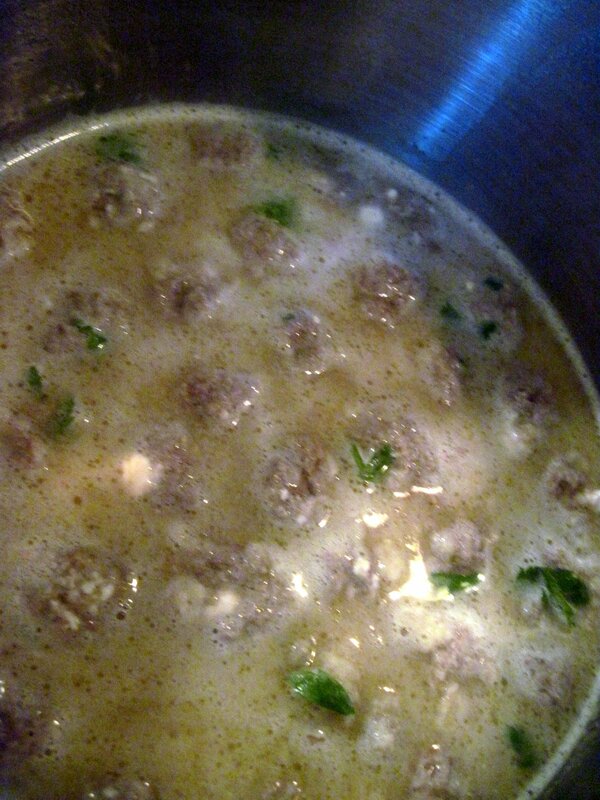 Place the meatballs into the simmering chicken broth. 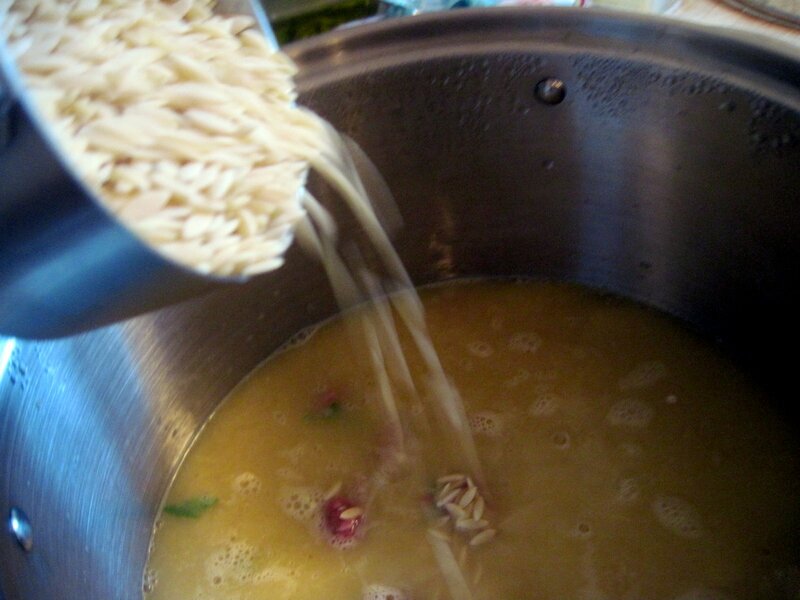 Pour in 1 cup of Orzo pasta. 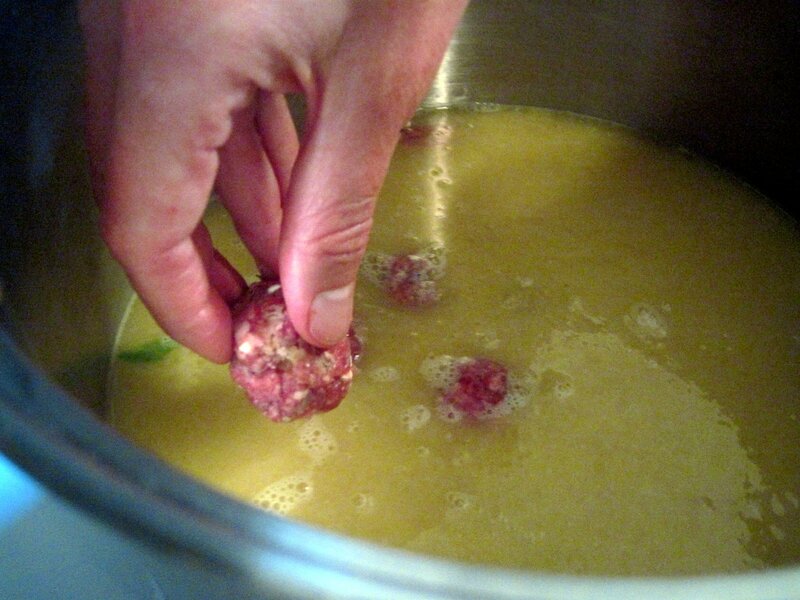 Allow the meatballs and pasta to cook for 8 minutes. Put a lid on it, will you. 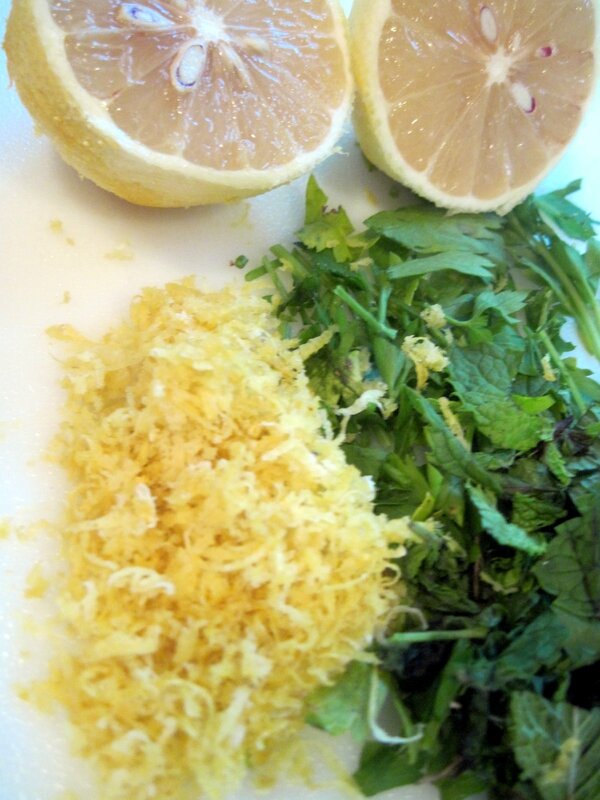 Add lemon peel, lemon juice, remaining parsley and mint. 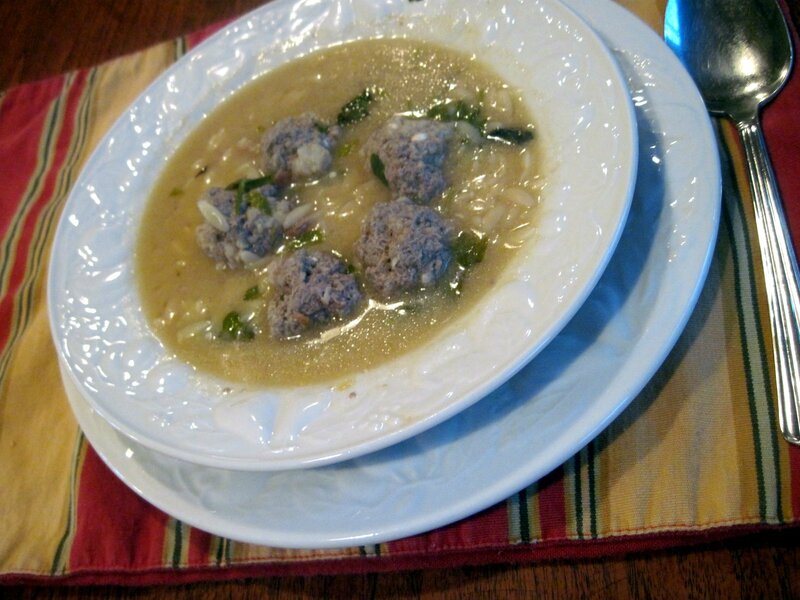 The lemon and mint give this Greek Wedding Soup a delicious, fresh taste. Perfect! 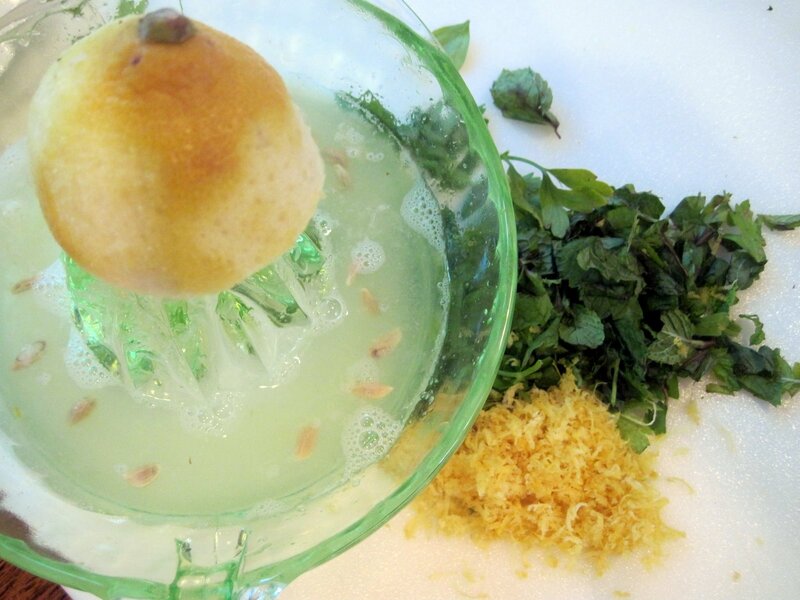 Stir in herbs and taste. As Rachael Ray says, YUM -O. This really is Yum – O if I say so myself. 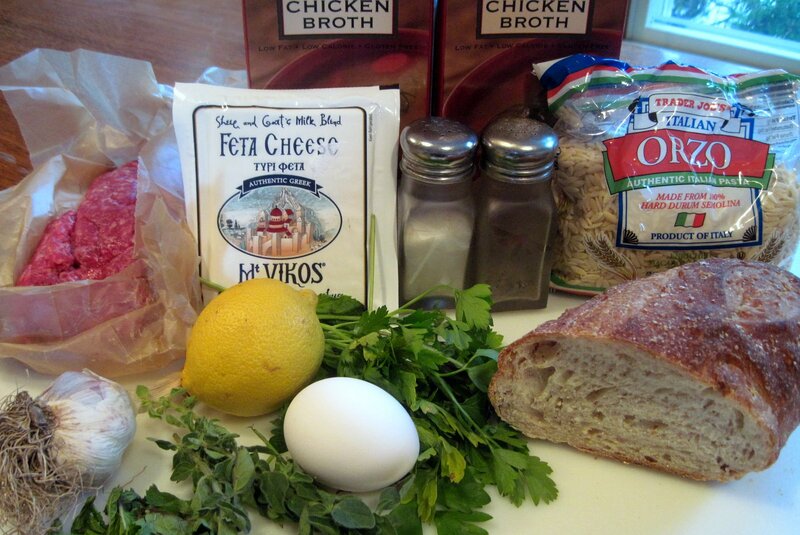 Perfect soup- even if there isn’t a wedding today, you’ll feel Greek. Hubs said, “Wish I had married a Greek- could of had this all the time.” My response,” Next time Sweetie”. This is a 30 minute Meal. Love this soup! 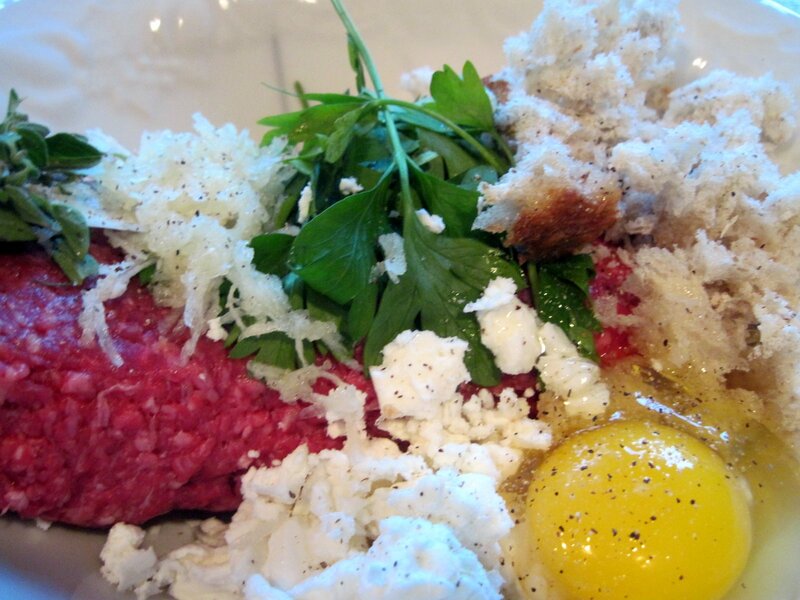 You can't go wrong with these wonderful ingredients. Yum-o indeed. I'll have to try this one. 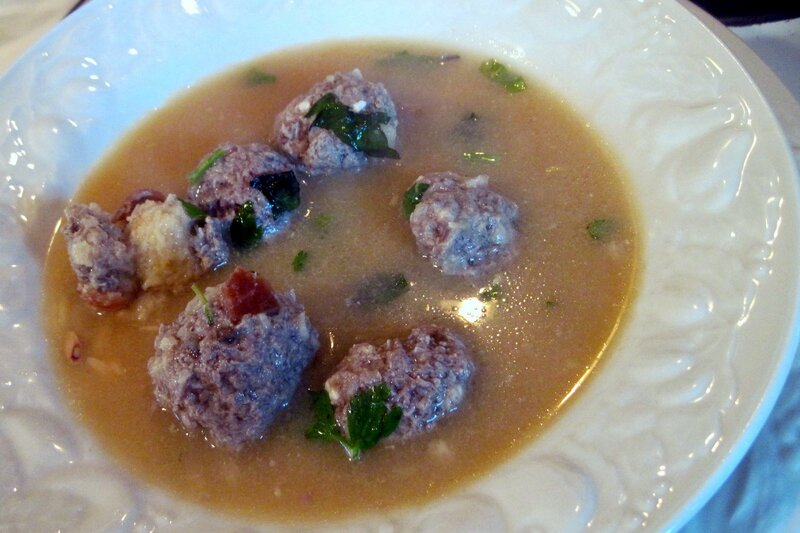 I have always wanted to try making Greek Wedding soup, but haven't yet. But this sounds like a recipe I'd love!! Thanks so much for linking up to Saturdays with RR. 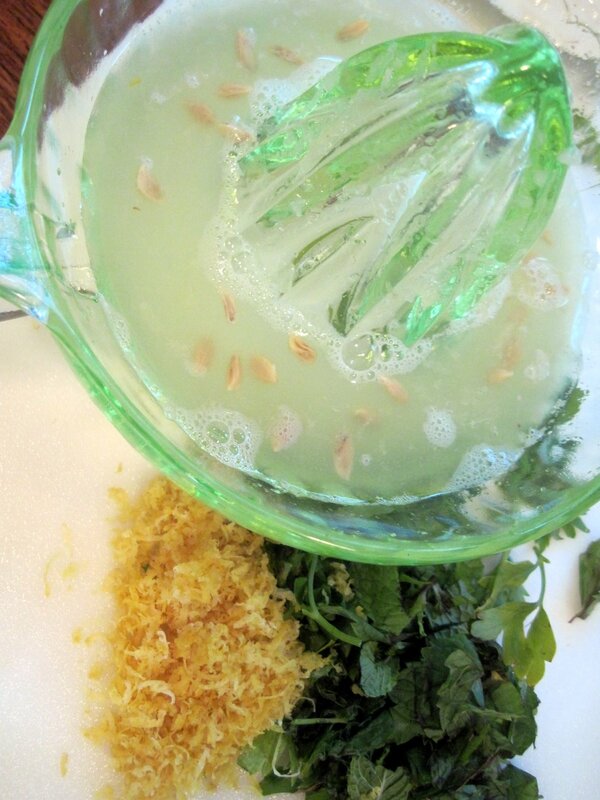 I do a link up every Saturday – I hope to see you there with more RR recipes!! Great soup! Reminds me of hitching across Greece in the seventies great food great people. This recipe sounds and looks DELICIOUS! Thanks for sharing it, I think I’m going to have to give it a whirl!! I love the soup, but I wish you, (and all others) when printing a recipe, would list the “half of any ingredient” last. I always wonder if “half” means all the ingredients that follow the word “half” or just the one item that follows the word “half”. This may sound confusing, but that is what I am when trying to follow a recipe that tells me to put in half now and half later. What ingredients do I put in for the first “half”?